A fantastic mid century modern coffee table. 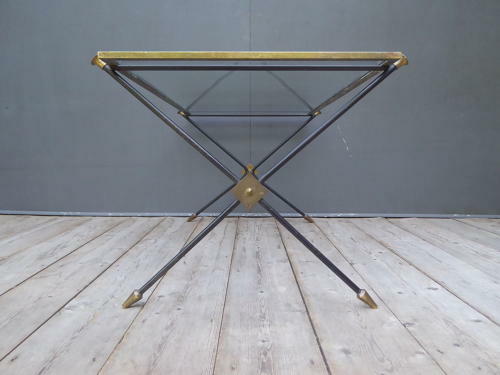 A beautiful & unusual example, the black laquered X-frame base with brass detailing, supporting a clear glass top in a brass frame. A stunning example with original finish to all the metalwork. Wear commensurate with age, excellent condition overall with a later glass top in toughened glass.